Is It Safe To Use CBD When You’re Pregnant? Is it safe to use CBD during pregnancy? Research on the subject is skant, but here’s the scoop on how cannabidiol may impact pregnancy. Using a little herb to ease the pains and complications of pregnancy is more common than one might thing. In fact, the herb is the illicit drug of choice among pregnant Western women, more of which are turning to cannabis than ever before. Yet, prenatal consumption is one of the most controversial subjects in the cannabis space. To avoid some risk, many are turning to nonpsychoactive cannabidiol (CBD). But, is it safe to use CBD during pregnancy? Here’s what the research has to say. Why is there concern over pre and postnatal cannabis use? Using any substance during pregnancy can be concerning. Everything that is taken into the body can have a possible impact on the developing baby. Thus far, prenatal cannabis use is not associated with an increased risk of birth defects or life-threatening conditions. However, medical researchers and professionals still have concerns. Compounds in cannabis have an effect on the body thanks to the endocannabinoid system (ECS). The ECS is a large network of cell receptors (cannabinoid receptors) and their corresponding agonists (endocannabinoids). Cannabinoid receptors can be thought of as locks, and endocannabinoids can be thought of as keys. The endocannabinoid system controls a variety of bodily functions, including mood, appetite, metabolism, memory, movement, sleep, reproduction, and immune function. The active chemical compounds in cannabis engage this system, which is why the herb has both medicinal and psychoactive effects. The same system has an important role in an infant’s development. The primary concern is that the compounds in cannabis will interfere with the natural process of development, leading to potential trouble down the line. Though, with the research available thus far, it is difficult to tell to what end. Even if THC only would cause small changes its effect may well be sufficient to sensitize the brain to later stressors or diseases to provoke neuropsychiatric illnesses in those affected in the future. To oversimplify Harkany’s argument, he suggests that even slight changes in the endocannabinoid system can make a child vulnerable to certain types of diseases and conditions over time. So, while the evidence of serious post-birth problems is lacking, pre-clinical research does bring up some long-term concerns. However, Dr. Harkany’s research examined the effects of THC, not cannabidiol. Do these concerns still apply with the nonpsychoactive cannabinoid? Unfortunately, the available research on CBD and pregnancy leaves much to be desired. There is not a whole lot of high-quality information on cannabis use during, fertility, pregnancy, or breastfeeding. Cannabis is still considered a Schedule 1 drug in the United States, meaning that the herb has “no known medical value”. The herb’s Schedule 1 status makes it illegal for scientists to research, as well as illegal to possess, cultivate, purchase, or distribute. When it comes to research on CBD and pregnancy, studies are few and far between. The majority of investigations into cannabis and pregnancy focus on psychoactive THC or generalized cannabis use. High-CBD cannabis strains have grown in popularity over the past few years, which doesn’t give scientists much time to examine the compound’s postnatal effects in detail. Much of the available literature stems from cell line and animal studies, which may or may not apply to humans. However, this pre-clinical research provides a peak into the possible effects. Pre-clinical evidence shows that THC may not be so great for those trying to get pregnant. One 2006 rodent study, on the other hand, found that CBD was not associated with the same risks. Researchers tested the effects of THC, CBD, and cannabinol (CBN) on mice in the early stages of pregnancy. While THC was associated with poor implantation, alterations in ovulation, and the self-destruction of embryonic cells, CBD and CBN were associated with none of these events. 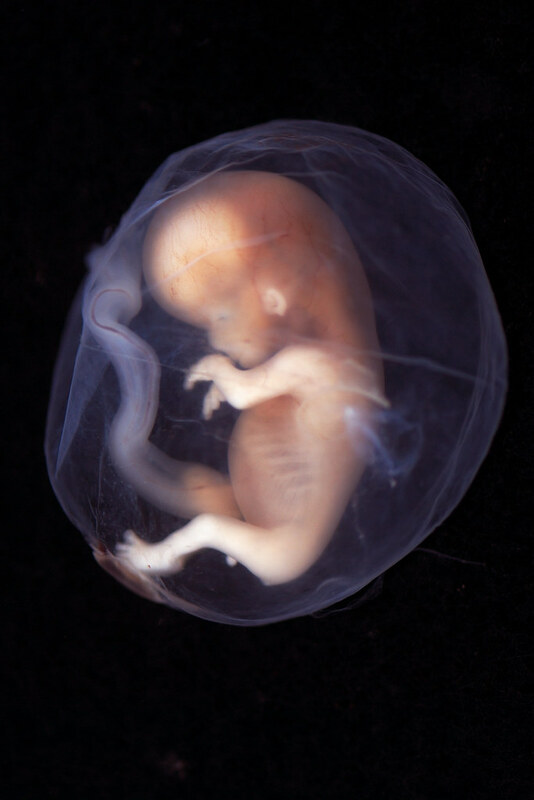 For the purposes of this study, the embryo developed normally. The mice were treated with 5/mg per kg of purified cannabinoid products per day. Scaling up for humans, this would be the equivalent of 306 mg of THC, CBD, or CBN for a 135lbs (61kg) woman. Though the study is certainly interesting, this example suggests that high CBD exposure during early pregnancy does not seem to cause miscarriage or major events in rodents. Does this also apply to humans? No one can quite say yet. CBD may lesson contractions during labor. A 2010 study, found that synthetic CBD treatment reduced oxytocin-induced myometrial (uterine) contractions in cells cultured outside of the body. The study also cites earlier research that shows that THC and our natural endocannabinoid, anandamide, have similar effects on contractions. The effects of the synthetic CBD were comparable to some types of drugs used to ease preterm labor, including oxytocin antagonists. Oxytocin antagonists include drugs like atosiban, which is used intravenously in mothers experiencing preterm contractions. 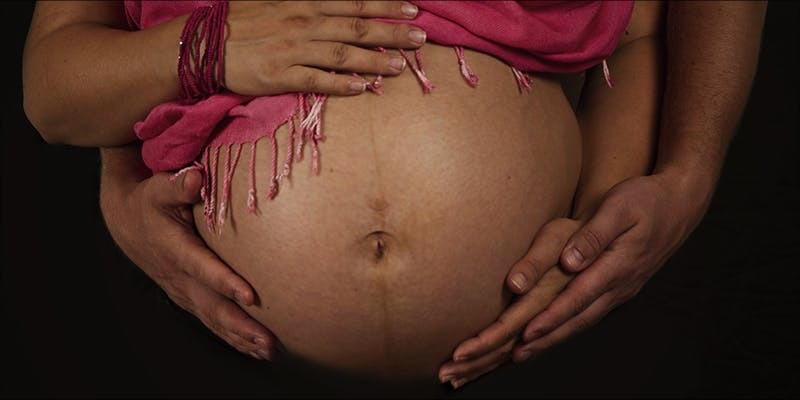 A 2013 study found that prenatal CBD treatment may increase the permeability of the placenta. 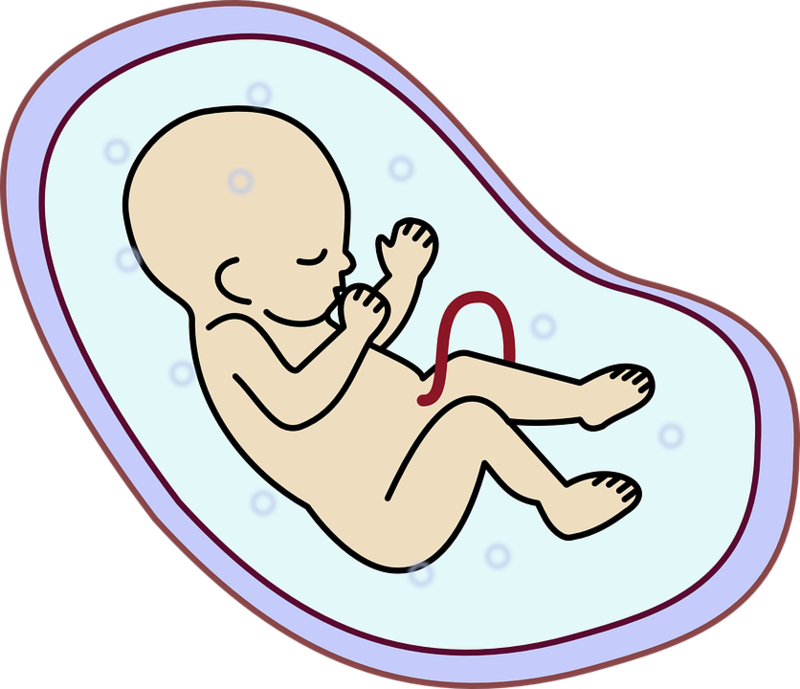 That means that foreign compounds are more likely to cross the placental barrier and into the fetus. Depending on what the mother has been exposed to, this could potentially cause harm to the fetus. The study was conducted on cells cultured outside of the body. However, there is no indication as to how this plays out inside the human body and what does of CBD is needed to cause this change. [m]arijuana use during pregnancy may reduce placental protective functions and change its morphological and physiological characteristics. According to these pre-clinical studies, exposure to CBD may cause potentially harmful effects to the placenta. Much of the research on human cannabis consumption to date draws from epidemiological studies, which track the instances of specific effects in a given population. In this case, the effects are negative outcomes in a population of cannabis-consuming mothers. A few human epidemiological studies have determined that cannabis use during pregnancy does not seem to be associated with negative birth outcomes. For example, a 2012 review sites two early studies which looked at the birth outcomes of prenatal cannabis consumers. The first study was published in 1978 and was called the Ottawa Prenatal Prospective Study (OPPS) tested the effects of prenatal cannabis and tobacco use in middle-class Canadian women. Another, the Maternal Health Practices and Child Development Study (MHPCD), conducted in 1982 looked at prenatal cannabis and alcohol exposure in women from Pensylvania. Neither study found that cannabis use was associated with miscarriage, preterm deliveries, or other complications. However, cannabis-exposed babies were reportedly smaller, prone to startles, had disrupted sleep patterns, and irritability. Other studies have found no significant changes in cannabis-exposed babies. Earlier this year , a team lead by Dr. Shayna Conner reviewed a series of observational studies which looked at cannabis as a risk factor for post-birth development complications. The team found no evidence that cannabis alone was associated with any negative birth outcomes. When the herb is combined with tobacco, however, that’s a different story. Thus, the association between maternal marijuana use and adverse outcomes appears attributable to concomitant tobacco use and other confounding factors. Two longitudinal Jamaican Studies conducted in the 1980s examined the cannabis-exposed and non-exposed children shortly after birth and again at four and five years of age. When the babies were 30 days old, those exposed to cannabis scored better on some tests. At five years of age, there was no significant difference in health or achievement between the two groups. Some of the biggest concerns may arise during breastfeeding, when active THC is passed directly from the mother to the infant. For more information on cannabis and pregnancy, please see the full article here. The lack of research available makes it very difficult to determine what effect any cannabinoid treatments will have on a developing child. However, based on the limited data thus far, CBD seems like a safer bet for those concerned about risks of cannabis use during pregnancy. One researcher even suggests that the neuroprotective, anti-psychotic, and anti-anxiety effects of CBD may help treat negative effects caused by prenatal THC exposure. 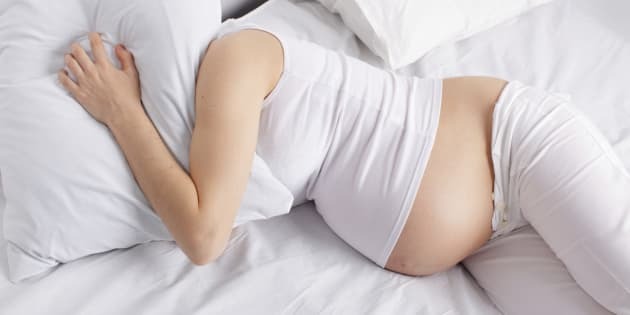 While there is little evidence that CBD causes harm during pregnancy and there is some evidence of potential benefit, ultimately families must make a perhaps difficult decision based on what makes them feel most comfortable. However, it is important to always talk to a doctor before trying any new medication or making changes to a birth plan.